Build a community-based digital archive for their organization. Gain a better understanding about data collection, digital security, and surveillance issues around web and social media content. Gain new knowledge about digital content generated on mobile devices and develop skills to safely archive that content. Build relationships with local archivists and other historical documenters in your city. Engage in conversations leading to deeper understanding about how digital content generated in online spaces affects our personal, social, and professional lives. Advocate for social justice causes affecting the lives of people of color including African Americans, Native Americans, Latinx and other marginalized people such as LGBTQIA, victims of police violence, incarcerated and formerly incarcerated people, immigrants, disabled people, poor people, etc. Use social media, the web and other digital tools such as cell phones, livestreaming technology, etc, in their work whether for communication, advocacy, or organizing. Have an interest in understanding how their social media, web, and other digital content is being collected and who is collecting it. Have an interest in building their own community-based digital archive as a way to document their activism. How Donald Trump is making illegal immigration worse was published in the Washington Post on March 15, 2019 by the SOHA Co-President, Juan Coronado. David Angress has spent his career in the technology and specialty products markets, holding several senior executive positions in retail, manufacturing and installation segments at companies including Guitar Center, Harman, and Sound Genesis. Buckwheat Zydeco redefined and popularized the Cajun Zydeco movement in America and around the World. In doing so, he brought positive attention to the accordion. The instrument’s reputation had suffered greatly beginning in the late 1960s; however, pockets of creative and innovative musicians fought to change that. One such performer was Clifton Chenier. The NAMM Oral History program is unique, unlike any other collection in the world. The heart of the collection is the depth of its narrative that covers innovative creations, the evolution of musical instruments, the ever changing world of music retail, as well as our collective quest to improve music education around the globe. Oral History participants have come from 46 different countries, 49 U.S. states and were born between 1903 and 1988. This collection is our journal, our own way of chronicling ourselves and our community—the community we so eagerly embrace at the NAMM shows and so proudly celebrate throughout the year. This library of video interviews, now 3,000 strong and always growing, contains the story of our industry told by those who helped to shape it and have watched it expand and develop through the years. We hope you find what you’re looking for right here, but if you have any questions, please contact us at 760.438.8001 or via e-mail at dand@namm.org. Be sure to view their exciting list of upcoming events at: https://www.museumofmakingmusic.org/events and view their fantastic exhibits. Just over 60 years ago, accordions were at the forefront of our musical landscape. With annual sales topping a quarter of a million instruments, they were seen and heard on stages, in stores, and in classrooms across the country. But musical tastes shifted dramatically by the end of the 1950s, and, within 10 years of this incredible high, accordion sales and interest plummeted almost to the point of disappearing. Today, accordions and accordionists are making their voices heard again! 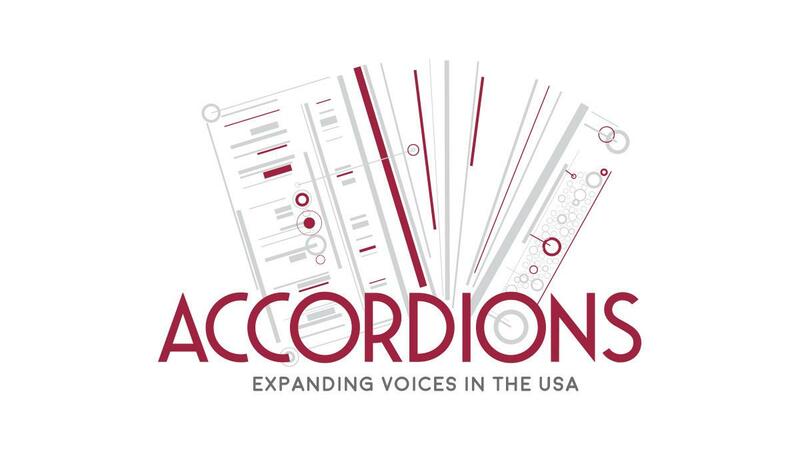 The Museum of Making Music’s special exhibition, “Accordions: Expanding Voices in the USA,” takes a close look and listen at the current state of the accordion across the country, highlighting stories and recordings from some of the players pushing it forward. Find out where the accordion could be headed next and even play one for yourself – you may well become part of the instrument’s future. Have questions about your research? We can help! South Asian Americans have been a presence in the United States for more than 130 years, yet their stories are little known. Early immigrants from South Asia worked on farms and factories, helped build railroads, fought for India’s freedom from British rule, and struggled for equal rights at home. On Saturday, February 23rd, the South Asian American Digital Archive (SAADA), in partnership with UCLA, presents History from Different Angles: South Asian American Stories in California, a one-day symposium about the earliest South Asian immigrants in California, featuring conversations with researchers, archivists, artists, and family members. This event was made possible with support from California Humanities, a non-profit partner of the National Endowment for the Humanities, with additional support from UCLA Department of Information Studies, UCLA Graduate School of Education and Information Studies (GSEIS), and UCLA Asian American Studies Center.